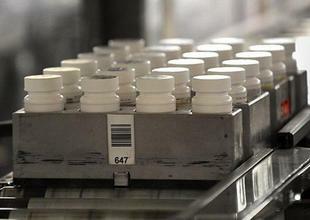 More Americans now die from prescription pills than car accidents. The nation's response to the trend will define an era, but corporate influence threatens reform. For the first time in nearly a century, automobile accidents are no longer the nation’s leading cause of accidental deaths, according to a major report released Tuesday by the National Center for Health Statistics. The new number one killer is drugs—not smack, crystal meth or any other stepped-on menace sold in urban alleyways or trailer parks, but bright, shiny pills prescribed by doctors, approved by the government, manufactured by pharmaceutical companies and sold to the consumer as “medicine.” Yet of the billions of legit pills Americans pop every year for medical conditions serious and otherwise, the vast majority of lives are claimed by only a select few classes—painkillers, sedatives and stimulants—that all share a common characteristic: they promote abuse, dependence and addiction. “This is just the tip of the iceberg of the prescription drug abuse problem,” says Dr. Margaret Warner, the federal report’s lead author. “The take-home here is, this should be a wake-up call.” Some 41,000 Americans died from what the report refers to as “poisonings” in 2008, compared with 38,000 traffic deaths. That tally marks a 90 percent increase in poisonings and a 15 percent decrease in car accidents since 1999. Nearly nine out of ten of those poisonings were caused by prescription drug overdoses, with the chief culprit being opiate-based pain relievers such as Vicodin (hydrocodone), OxyContin and Percocet (oxycodone), codeine, morphine—and let’s not forget Actiq (fentanyl), the infamous berry-flavored lollipop that is 100 times stronger than morphine and—like most opiate analgesics—so overprescribed that only about 10% of its sales come from its original indication to treat cancer pain. These legal opiates accounted for 40 percent, or 15,000, of the fatalities, up from 25 percent, or 4,000, in 1999. Deaths by painkiller now outpace the combined nationwide number of deaths by cocaine (5,100) and heroin (3,000); these fatal overdoses often involve mixing painkillers with other prescription drugs—for example, Klonopin, Xanax, Valium or another benzodiazepines, which are the second most lethal class. Other report findings: Three quarters of the poisoning are unintentional—likely the result of overdoses rather than drug interactions or allergic reactions—and some 13 percent are suicides. The five states with the highest oxy-type drug death rates (per 100,000 of the population) were New Mexico (30.8), West Virginia (27.6), Alaska (24.2), Nevada (21.0), and Utah (20.8).The most likely to die: white men, American Indians and Native Alaskans, usually between the ages of 45 to 54. Warner’s death report is but the latest in a disturbing accumulation of evidence, ranging from scientific surveys to celebrity deaths, that underscore what we already know about our painkiller nation: pill mills and doctor shoppers are not just creating a land of bathroom-cabinet addicts—their bodies are packing morgues. With our surging “oxy addiction” showing no signs of letting up, the Centers for Disease Control and Prevention this year officially named it an “epidemic.” President Obama has repeatedly invoked prescription drug abuse as the nation’s leading drug problem responsible not only for a rising number of overdoses and deaths but also ratcheting up the incidence of break-ins and burglaries of pharmacies. Warner and her colleagues at the agency, which is overseen by the CDC, are at pains to draw comparisons between oxy-type drug deaths and those from auto accidents, because they hope that the same comprehensive approach that helped cut traffic deaths in half during the previous decade can save just as many lives on the drug front. Auto fatalities fell following a concerted government focus on national highway safety, resulting in car safety improvements as well as a wide range of regulatory, legal, and public health measures. Seat belt laws were enforced; drunk driving laws became stricter. The fact that alcohol—yet another legal intoxicant—is responsible for close to 40% of all traffic fatalities indicates how difficult it is to apply policy to substance abuse and get significant results. Still, drunk driving is playing a smaller and smaller role in automobile fatalities, falling by close to 40% since 1982. You need to look at policy, laws, individual behavior, community behavior and health care provider behavior,” says Dr. Chris Jones, a consulting pharmacist with the CDC. One of the most innovative interventions includes building a database on patients who abuse painkillers and identifying doctors who overprescribe (or do so without examining the patient or his medical history). So far, five states have adopted specific pill-mill laws to flush out such doctors. “We’re looking at these laws to evaluate them and for guidance on policy,” says Jones. That includes sharing information from state medical licensing boards and pharmacy licensing boards to monitor prescribers and set thresholds for how many pills are hitting the street and why. The Drug Enforcement Administration launched an annual National Prescription Take-Back Event; the third drug dump, in October, collected 188 tons of old pills nationwide. The agency also operates 26 Tactical Diversion Squads—agents specializing in identifying wholesale traffickers and suppliers of black-market pharmaceuticals. Some 48 states have adopted prescription monitoring programs (PMPs), which typically encourage (rather than require) doctors to record the data of every controlled drug prescribed, but only 37 are currently operational. In 2011, Florida implemented its PMP after its Tea Party governor reversed his controversial opposition to the surveillance tool, and the Sunshine State has already seen an exodus of pill mills to Georgia, which still has no PMP. In 2010, enough prescription painkillers were sold nationwide to keep every American medicated around the clock for an entire month. Some 12 million Americans admitted that they were using painkillers without a prescription, and at least 14% of these nonmedical users met the criteria for abuse or dependence. In one recent survey, more than 5 million Americans reported using them to get high—in a single month period. The majority of those people say they obtained (or stole) them from friends or their family. In terms of the big picture, however, the fact that prescription drugs have overtaken automobiles as the nation’s leading cause of accidental deaths marks a deeper societal transformation. One of the most defining developments in twentieth-century America was motorization; as more people bought more cars and drove more miles, more accidents, injuries and deaths were the inevitable result until government intervention bent the curve. The 21st century is shaping up to be about, among other things, the pharmaceuticalization of America, as lifelong prescription drug use starting in early childhood becomes the norm. How will pill popping transform our lives? Certain things are predictable: The drug industry will develop and sell more and more chemicals targeted at the brain, which remains medical science’s “black box”; that will result in treatments to enhance the performance of mood, cognition, attention, memory and other mental functions that will have become, in due course, “medical conditions.” Any pill that promises to make you smarter or happier invites abuse, and some will be as addictive as Oxy or the “morphine popsicle.” But with the enforcement of effective policies—the seat belts and DUI laws of pharmaceuticalization—the drug industry’s off-label marketing and the medical profession’s overprescribing could be dramatically curtailed. Given the current state of corporate influence over politics, these reforms are anything but predictable. What's at stake is nothing less than the nation’s expanding medicine cabinet doubling as its morgue. This list of brand name and generic drugs was compiled from the Drug Abuse Warning Network's (DAWN's) database of emergency room visits in 2009, including drug poisonings that lead to both deaths and survivals.